If you’re used to seeing gnocchi in a packet, or only have it when you go out to eat, then this homemade gnocchi recipe is going to come as quite as surprise. It’s so easy and cheap to make that you’ll never want the packet stuff again. Yes, I know you’ve probably heard that before but it just so happens to be true! 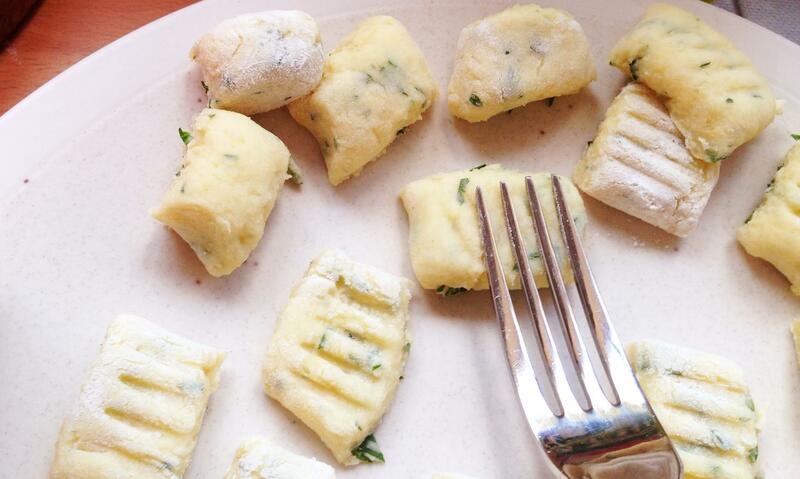 But first, we’ll answer some questions you might have about gnocchi. Gnocchi are small potato dumplings, very similar to pasta, and they are from Italy. 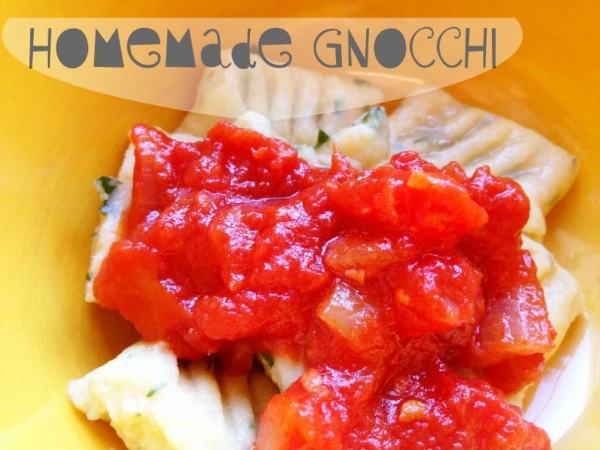 How Do You Say “Gnocchi”? Well, you don’t say it like it looks–it’s definitely not g-notch-ee. You say it without pronouncing the g, and there isn’t a ch sound. So you say it like Nockee. What Does the Word “Gnocchi” Mean? Gnocchi either means “knuckle” or “knot” (like a knot in a piece of wood), coming from the Italian words nocca or nocchio. Whichever one it is–and no one seems to know for sure–it definitely refers to the shape of them. 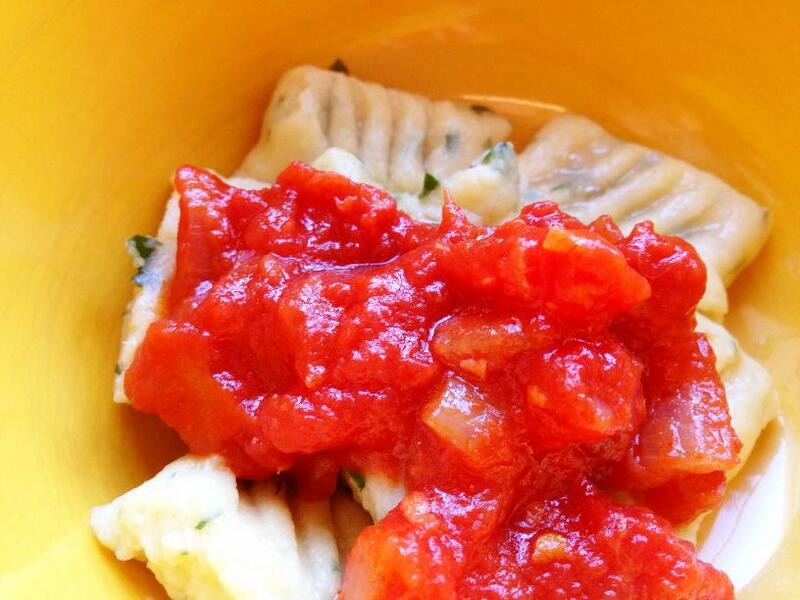 Yes, although many people see gnocchi and pasta as being different, gnocchi is a pasta. It’s just a potato-based pasta–so it has potato as its main ingredient and not wheat. Wheat is the main ingredient in pastas like macaroni, ravioli, and spaghetti. 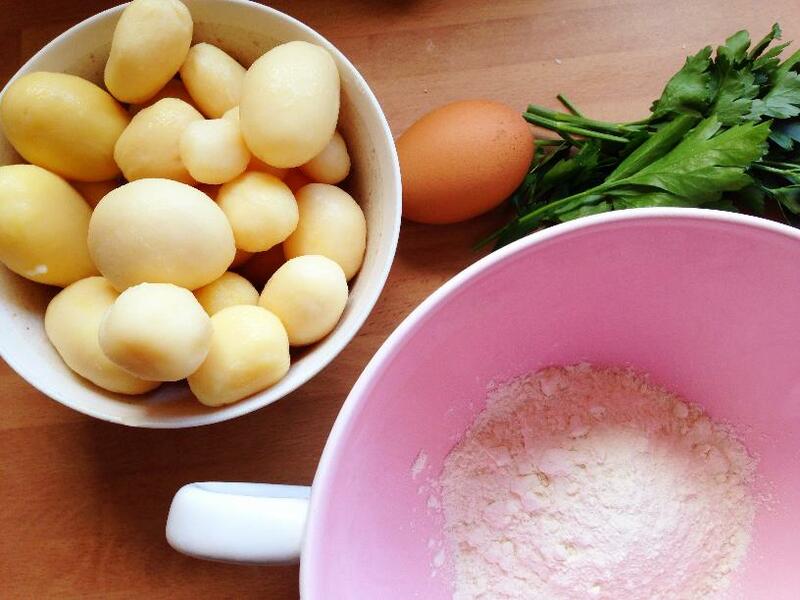 So now we know all that, let’s get on and make some gnocchi! 1. Put the potatoes in a pan and cook for about 5 minutes–you just want to make them warm, as this makes them easier to work with. 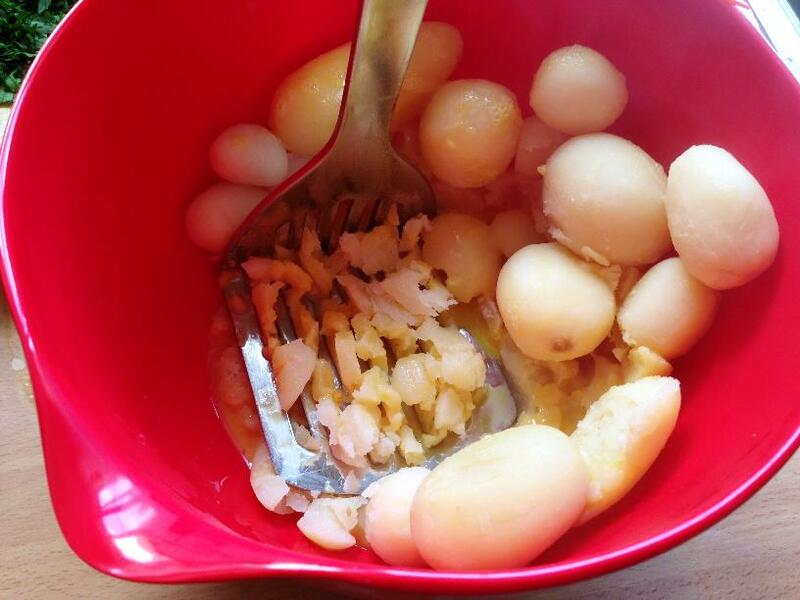 Drain the potatoes in a colander and mash the potatoes in a bowl. 2. 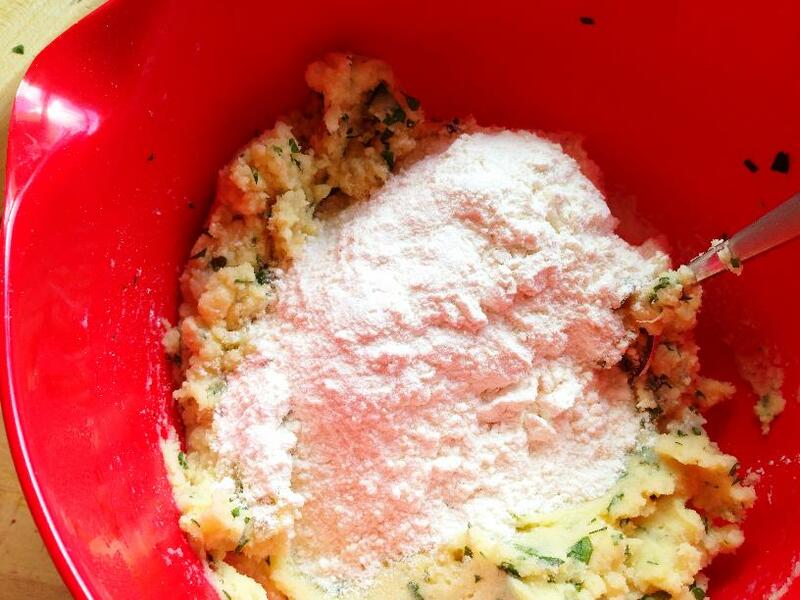 Using scissors, snip the parsley into small pieces over the potatoes. Add the egg, and stir everything together until it’s mixed well. 3. Add the flour and work it into a sticky dough. Add more flour if you need to, and knead with your hands until you have a nice soft dough. 4. 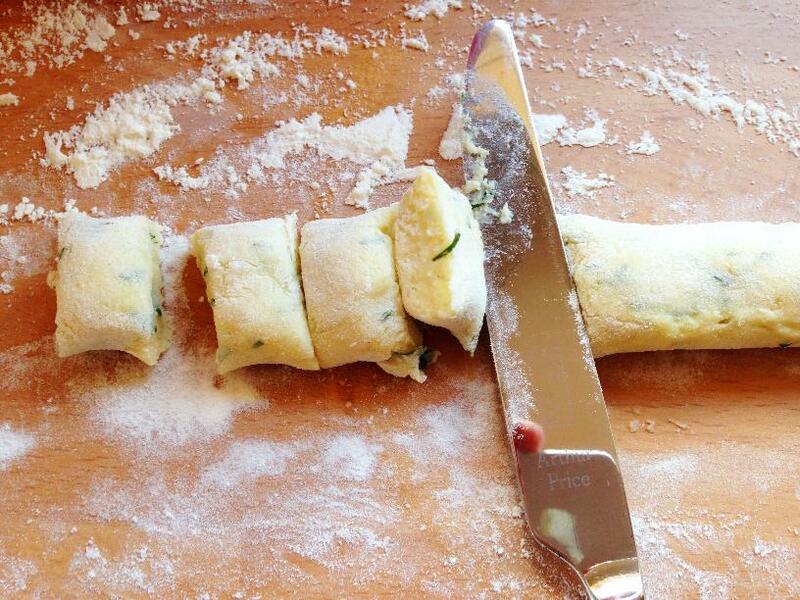 Take a handful of your dough and roll it into a sausage shape that’s about 2.5 cm (1 inch) wide–add more flour if sticky. Cut the gnocchi sausage into pieces, also of about 2.5 cm (1 inch) long. 5. Press the back of a fork into the top of each piece, and place on a floured plate so they don’t stick. Carry on until you’ve used up all the dough. 6. Heat a pan of water until it’s boiling, and get a grown-up to either lower in some gnocchi with a large slotted spoon into the pan, or get them to help you do it. 7. It’s easy to tell when gnocchi is cooked, as it simply floats to the surface of the water when it’s ready. Now you can scoop them out with your spoon. TIP: If you have no sauce to use, then you can simply use a tin of chopped tomatoes warmed through as a quick sauce for your gnocchi. Now try making some ravioli.